Criswell Davis, hardwood expert, addresses Wood Pro Expo October 19 at 10:00 a.m.
LANCASTER, Pa. - Professional woodworking shows go local, as Wood Pro Expo features a redesigned conference, awards event, and bristles with local dealers and distributors at the Lancaster Host Expo and Conference Center October 19-20 in Lancaster, Pennsylvania. Ten conference sessions are planned, forming a core part of the appeal for Wood Pro Expo. Industry personalities including FDMC editor Will Sampson and custom furniture builder Matt Buell will be on hand, along with technical experts drawn from the bountiful resources at regional suppliers. 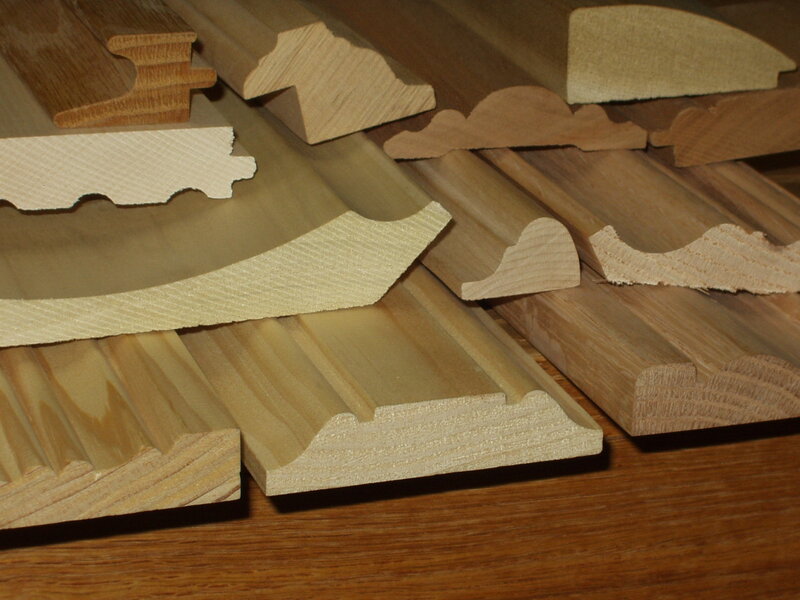 Woodworkers are encouraged to bring their real live shop production questions and challenges for the experts on hand. Ever have issues trying to fabricate panel and lumber in an icy cold shop? Have you struggled in designing router templates? What about translating design plans into CNC code? Or how about finishing: are reaching consistent spray patterns a challenge? These and many more topics and concerns will be covered – along with solutions – at Wood Pro Expo. 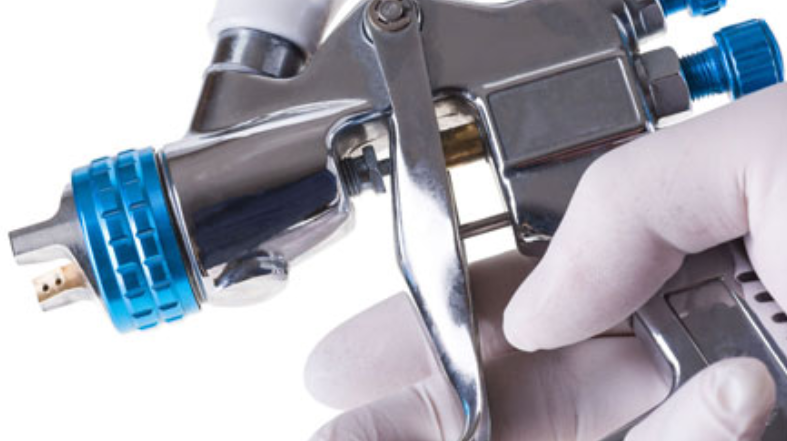 Experts from Russell Plywood will deliver a session on finishing, "What's in Your Sprayooth?" October 19 at 2:00 p.m. 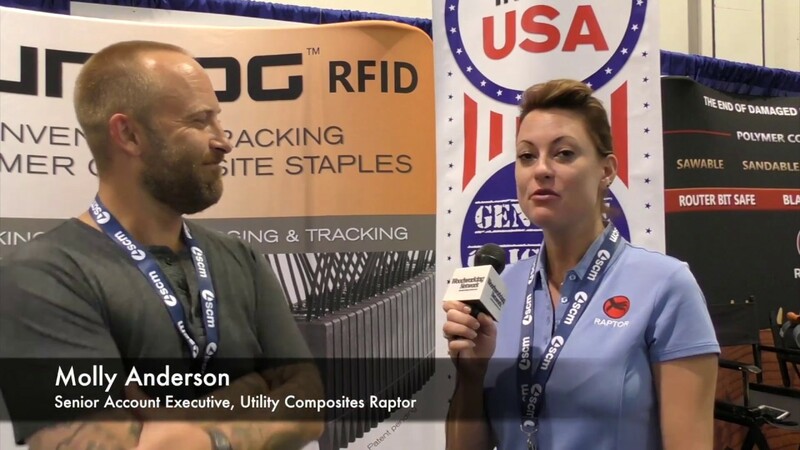 The education program draws heavily from expertise found among regional suppliers, and in particular from Pennsylvania suppliers booked for the show so far. 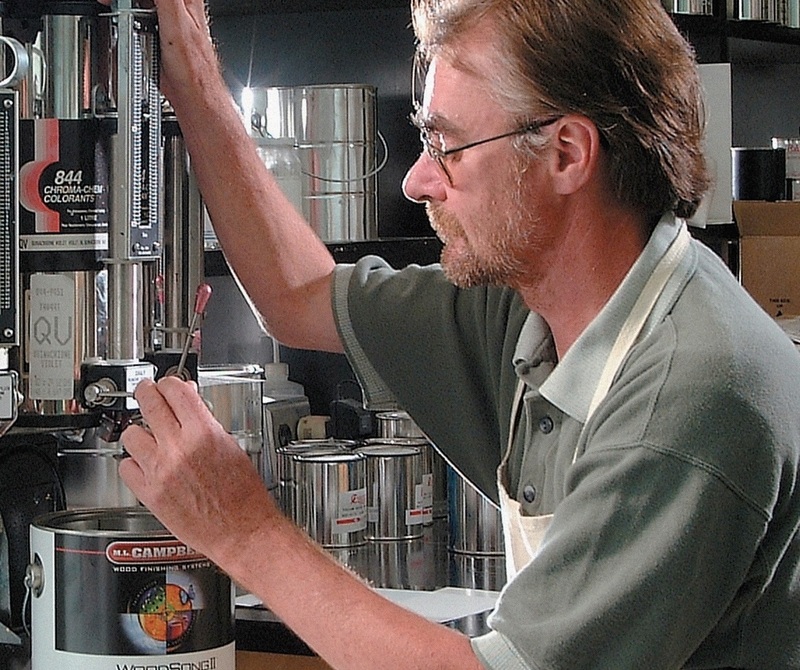 The Keystone State-based exhibitors include A & H Industries in Myerstown; Bingaman & Son Lumber in Kreamer; CCF Industries in Apollo; DC Distributing in Abbottstown Pike; Fessenden Hall and Keystone Wood Specialties, both in Lancaster; Grapek Bates in East Earl; Hermance Machine in Williamsport; Specialty Paints & Coatings in Carlisle; K P Walsh in West Chester; O’Shea Lumber in Glen Rock; and RT Machine in Hughesville. Russell Plywood - a Reading, Pennsylvania stocking wholesale distributor of high-quality hardwood veneer plywood, laminate panel, and an ML Campbell finishes outlet, will bring its experts to deliver a best practices learning session on finishing and sanding. Fessenden Hall will make a presentation on Cold Temperature Fabrication. It will include a strong educational program on best practices for shop production, and as well as an expo oriented to equipment and supplies geared to the small and medium size shops, including CNC basics, employee recruitment, finishing, lean manufacturing, business management, software, and shop safety. Launched in 2014 in Baltimore, the show moves this year to Lancaster, Pennsylvania, and will appear in multiple cities in 2018, including Charlotte, North Carolina on February15-16, 2018. Matt Buell talks about techniques for productive templated routing October 20 at 3:30 p.m.
During the Lancaster show, on October 19 the session "Cold Weather Fabrication" will be presented by Bob Schaefer, an expert at from Fessenden Hall, a Pennsylvania-area powerhouse in panel supply, and among the largest exhibitors at Wood Pro Expo in Lancaster. “We have challenges, typically depending on the type of weather we get,” says Schaefer. “From mid-October to mid-January, a lot of the customers in our territory are waking up to 50-degree temperatures. And they don’t heat their shops overnight.” As shops cool down overnight, the material change dimension and cutting characteristics shift. Another local expert is Mike Roth, who will keynote at 8:00 a.m. October 20, with “Jump Starting your Lean Journey,” unpacking the 8 steps of Value Stream Management with profiles of some success stories. Roth says his talk will be relevant to woodworking businesses big or small, no matter where they are on their lean journey. He is a Lean Six Sigma Master Black Belt with a Lean Manufacturing Certification from the University of Michigan. As CEO / President, Mike provides strategic leadership and "on site" mentoring for the Go-Lean-Six deployment team. 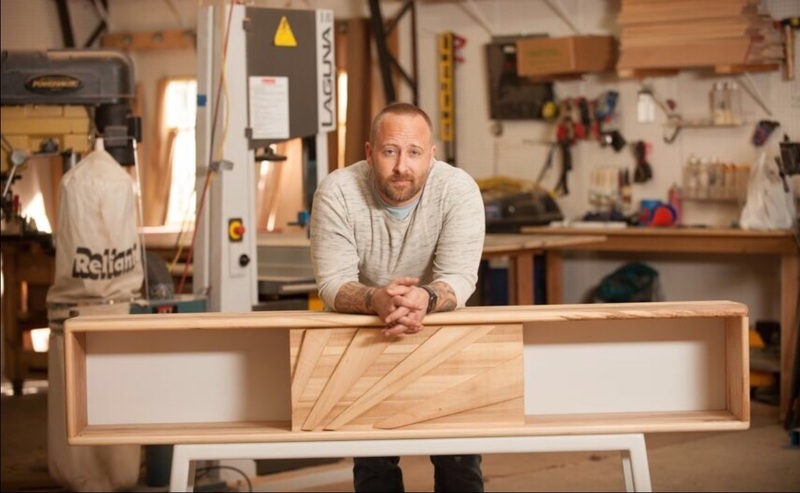 Steve Riehl, principal at Knot & Ore, a local Amish furniture start-up from Lancaster, will provide insight into the development of an industrial design metal and live-edge hardwood furniture line geared to the millennial consumer. Riehl will relate the thinking and research behind the launch, and the experience of bringing a new furniture line into today’s retail pipeline. 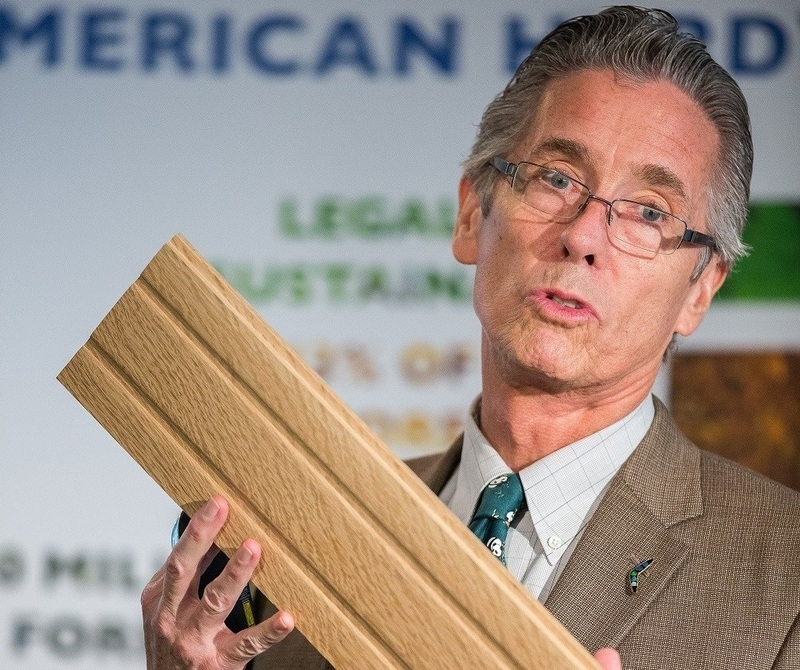 Frank Miller Lumber's Criswell Davis, speaking October 19 at 10:00 a.m. is an approved continuing education provider for the American Institute of Architects, lectures at university, and is renowned internationally for extolling the many virtues of sustainable American hardwoods in design. He regularly visits with architectural and design firms, job sites, manufacturers and universities around the world. Registration for Wood Pro Expo Lancaster registration is $20, including admission to keynote presentations both days, and to the Best in Wood Awards October 19 at 6:00 p.m.
Wood Pro Expo individual conference sessions are $45; a Conference Pack for $125 provides admission to all conference sessions both days. The Best in Wood Awards celebration brings cash, and excitement to Wood Pro Expo Lancaster at 6:00 p.m. on October 19. Some lucky individual will walk away $500 richer October 19 at Wood Pro Expo at the Lancaster Host Conference & Expo Center. For the first time, the Best In Wood Awards will take place during the regional woodworking trade show, which runs October 19 and 20 at the Lancaster Host. The Overall Winner of the 2017 Best in Wood Awards for fine custom furniture making, cabinets and millwork will receive $500 and will be celebrated (along with category winners) during the 6:00 p.m. awards reception. "This is going to be an exciting year for the competition," says Bradford. "It's the first time we have offered a cash prize for this contest, and we're tracking 30 percent ahead of last year's edition." The awards event will be held October 19 at 6:00 p.m. at the Lancaster Host Expo and Conference Center in Lancaster, Pennsylvania. The event is free with registration for Wood Pro Expo, which costs $20. The CMA is hosting a regional event on October 18 in Lancaster, Pennsylvania, with plant tours of CMA member shops - Lancaster Cabinet Company, Keystone Wood Specialties, and Kitchenview Custom Cabinets. Held the day before the Wood Pro Expo, registration also includes access to the Wood Pro Expo show.